What better place to unwind with a cold drink than Wharfside Village. The brightly colored buildings at Wharfside Village St. John are home to great restaurants and bars on the waterfront overlooking the harbor of Cruz Bay. Some feature live music and seating on the beach. Check out this list of a few of our favorite places and be sure to stop for food and beverages on your next visit to St. John. At one end of Wharfside Village, High Tide Bar and Seafood Grill is just steps away from the ferry dock with views of Cruz Bay from every seat in their open air dining area. High Tide serves breakfast, lunch and dinner. There is something for every palate on the menu from Biscuits and Gravy for breakfast to Caribbean Lobster Tail for dinner. Or just stop in and relax with one of their signature drinks, such as the Mango Tango or Lime in D’Coconut. Their drink menu also includes imported and island beers, wine, and champagne. Watch the boats dock in the harbor while you dine at Waterfront Bistro. Enjoy a casual lunch or fine dining for dinner and pair your selection with one of their specialty cocktails like the Cruz Bay 75 or Bistro Sunset. Choose from their wine list at dinner salad and you’ve got the makings to a pretty perfect way to end the day. Vista Mare is located upstairs in Wharfside Village and features relaxed, authentic Italian dining with appetizers, fresh pasta made daily, and flavorful dinner entrees. Order your favorite beverage along with a Margherita Flatbread at the bar and watch the sunset over Cruz Bay harbor. Voted one of the best beach bars in America by Men’s Journal Magazine is Joe’s Rum Hut. The bar is known for their famous Mojitos with fresh mint and fresh squeezed lime juice. In addition to their delicious drinks, their menu features appetizers to share, pizza, and burgers. In addition to views of Cruz Bay beach, there are 3 big screen televisions to catch the game while you relax. Joe’s Rum Hut celebrates Happy Hour daily from 4:00 pm to 6:00 pm. Feeling lucky? Stop in at The Parrot Club in the center of Wharfside Village and enjoy a cocktail while trying your luck on video slots, roulette, and Black Jack. A long-time favorite of locals and visitors alike is The Beach Bar at Wharfside Village. This local hotspot features live music most nights. If you’re planning a day on the beach or boat, grab one of their to-go coolers complete with food and drinks. Their menu has everything from Beach Bar Nachos to Tempura Fish Tacos. Be sure to order a Bushwhacker frozen drink or one of their Beach Bar Painkillers. Good times, good food and great service are what they are all about. The newest addition to your bar and restaurant selections at Wharfside Village is The Bowery. This new spot has the ambiance of an English Pub. While it does not have a waterfront view, it is one of the view spots on St. John where you can drink, and dine in air-conditioned comfort. For more information about what to do on your visit to St. John, we can help you find a place to stay and plan what to do while here. 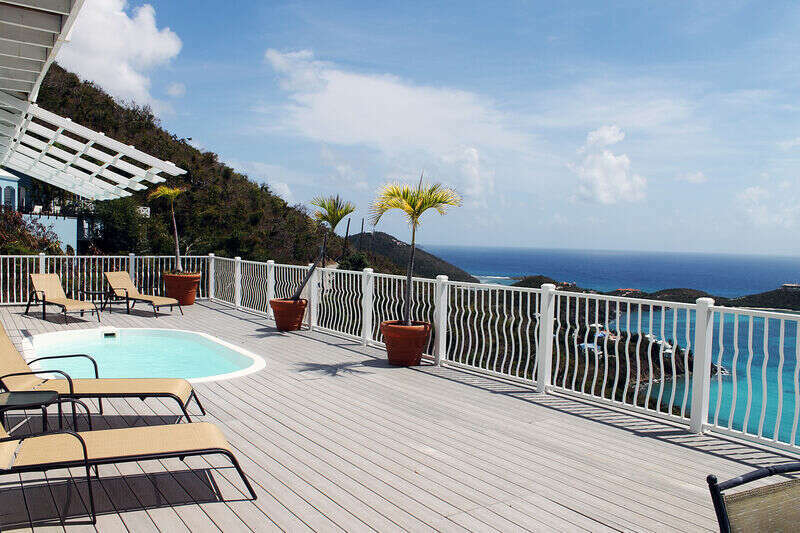 CimmaronStJohn provides the finest vacation rentals on the island. With everything from 1 and 2 bedroom condos to 6 bedroom vacation villas, we make your trip stress free and easy to plan. Our guest services team is top of the line and can take care of all the details for your stay. Call us at 340-715-2666 for more information.